Our range of products and accessories reflects the versatility and freedom of choice built into every one of our instruments. 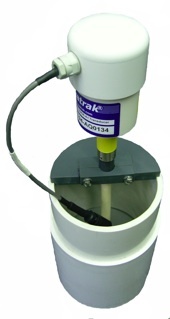 Aquatrak sensors can be installed nearly anywhere with minimal site preparation. They are resilient. They self-correct for temperature fluctuations. They work with all commonly used data collection platforms. Every project comes with its own unique challenges, and we offer a wide array of custom parts and accessories with that very fact in mind. We're here to help you get the most accurate and reliable data possible, whatever the circumstances. Although a Protective Well is not required for all installations, they are generally recommended as they protect against environmental damage and vandalism. The Protective Well consists of three major components: the basic sounding tube encasement, the Top Assemby, and Bottom Assembly. From the Model 5000 Sensor a schedule 40 or 80 PVC pipe extends to water level. It encases and protects the sounding tube. 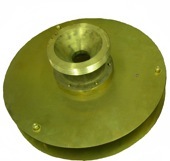 This Protective Well Kit is available with either 4 or 6-inch diameter piping. 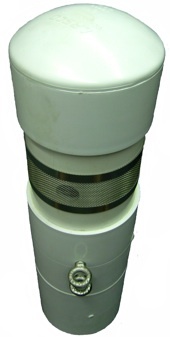 The Top Assembly caps the Protective Well and houses the Model 5000 Sensor. 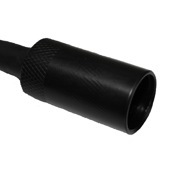 It is available in two sizes to mate with either the 4 or 6-inch protective well pipe. Under the water's surface the Bottom Assembly prevents liquid surge and drawdown within the sounding tube even during high current conditions. 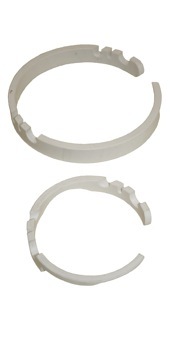 As with the Top Assembly, it is available in two sizes to mate with either the 4 or 6-inch protective well pipe. Includes a top adaptor, 20 feet of 4-inch schedule 40 PVC Pipe; Bottom Assembly with copper plates, bronze cone, and copper insert. Includes a top adaptor, 20 feet of 6-inch schedule 40 PVC Pipe; Bottom Assembly with Copper plates, bronze cone, and copper insert. Mates to 4-inch PVC pipe. Includes PVC Transducer mounting plates/clamps, protective cover, and assembly hardware with screen vents. Mates to 6-inch PVC pipe. Includes PVC Transducer mounting plates/clamps, protective cover, and assembly hardware with screen vents. 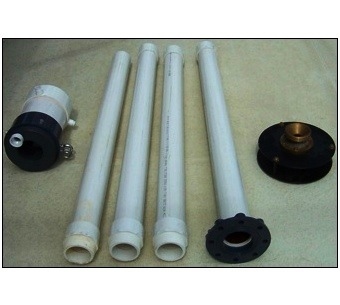 Mates to 4-inch PVC pipe. Includes one 4-inch brass cone; one 24-inch copper sleeve; two 13.5-inch brass parallel plates; four spacers; and assembly hardware. Mates to 6-inch PVC pipe. 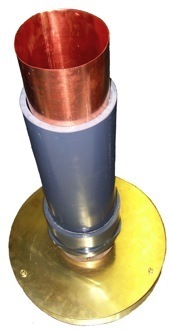 Includes one 6-inch brass cone; one 24-inch copper sleeve; two 18-inch copper parallel plates; four spacers; and assembly hardware. Each Model 5000 Sensor is sold with an Installation Kit that includes four 5-ft long range tubes, one 4-ft long calibration tube, one trim tube, and one 2-ft brass tube. A miter block is also included to ensure the most accurate cuts for each tubing component, and each pipe is equipped with couplings to allow ease of installation. The Kits are available in two sizes to mate with either the 4 or 6-inch protective well pipe. Centering Clips fit inside the well pipe and steady the sounding tube within the Protective Well. 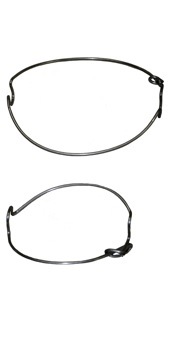 They are available in PVC or stainless steel (as shown at left respectively); singly or in sets of five; and in either 4 or 6-inch sizes to fit within the protective well piping. Includes four range tubes (5-ft) with couplings; one trim tube (5-ft); one red brass section (3-ft); one aluminum miter block and one shipping box (4-in); five centering clips (4-inch, type 316) with calibration tube. Includes four range tubes (5-ft) with couplings; one trim tube (5-ft); one red brass section (3-ft); one aluminum miter block and one shipping box (6-in); five centering clips (6-inch, type 316) with calibration tube. the other parts and accessories featured on this page. 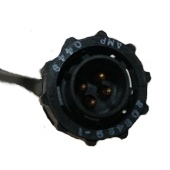 This cable connects the Switchcraft connector on top of the Model 5000 Sensor to thermistors located 7, 20, and 40 feet from the Sensor. It is stored inside the protective well, and the temperatures readings it collects are transmitted to the DCP. 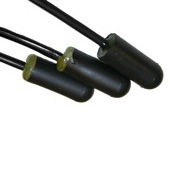 The lengths of the individual thermistors can be shortened by coiling the individual cable within the protective well. 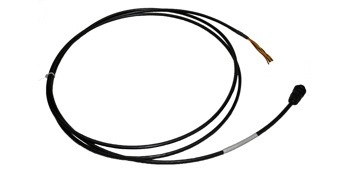 This cable connects the Impulse connector on top of the Model 5000 Sensor to thermistors located 7, 20, and 40 feet from the Sensor. It is stored inside the protective well, and the temperatures readings it collects are transmitted to the DCP. 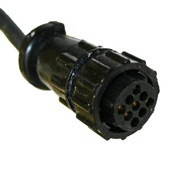 This cable connects the power, ground, SDI and RS-232 signals between the Model 5000 Sensor and the DCP. At one end a Switchcraft connector mates to the Sensor cap and at the other the jacket has been stripped back to expose the individual conductors. 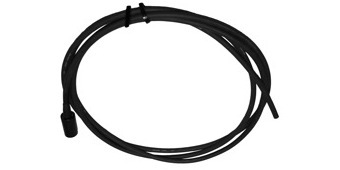 Standard length for this cable is 10 feet, as in the part number W-108-01-10 above. We also provide these cables in 20, 40, and 66-ft lengths, as well as 5, 10 and 20 meters. Please substitute "5M," "10M," or "20M" at the end of the part number for metric lengths. Consult the factory for quotes on custom cable lengths. 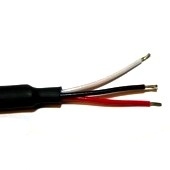 This cable connects the power, ground and all other signals between the Model 4100/4110 Controller and the Model 3000 Transducer. 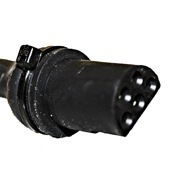 At one end an Amphenol connector mates to the Controller enclosure and at the other a connector mates with the pigtail connector on the Transducer. 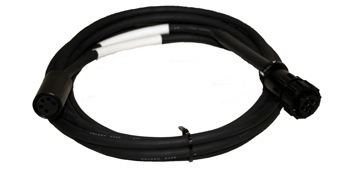 Standard length for this cable is 10-ft, as in the part number W-101-10 above. 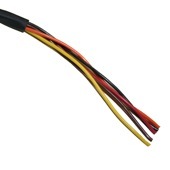 We also provide these cables in 20 and 40-ft lengths, as well as 10 and 15-meters. Please substitute "10M" or "15M" at the end of the part number for metric lengths. Consult the factory for quotes on custom cable lengths. 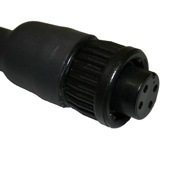 This cable connects the Model 4100/4110 Controller to the +12VDC and ground source, as well as providing SDI communications to the DCP. At one end an Amphenol connector mates to the Controller enclosure and at the other the jacket has been stripped back to expose the individual conductors. 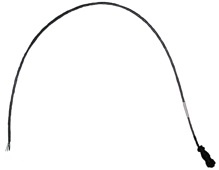 The manual for the Model 4100/4110 illustrates the proper connection of these individual conductors. 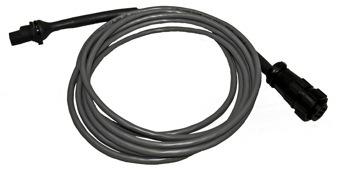 Standard length for this cable is 3 feet, as in the part number W-102-03 above. 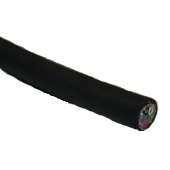 We also provide these cables in 5-meter lengths, designated by the part number W-102-01-5M. Consult the factory for quotes on custom cable lengths. 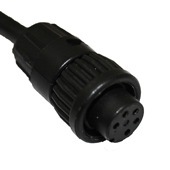 This cable connects the Model 4100/4110 Controller to the DCP using RS-232 communications. At one end an Amphenol connector mates to the Controller enclosure and at the other the jacket has been stripped back to expose the individual conductors. The manual for the Model 4100/4110 illustrates the proper connection of these individual conductors. 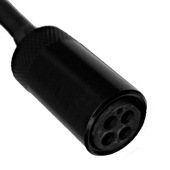 Standard length for this cable is 3 feet, as in the part number W-103-03 above. 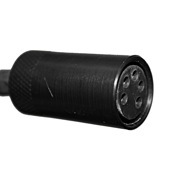 We also provide these cables in a 5-meter lengths, designated by the part number W-103-5M. Consult the factory for quotes on custom cable lengths. 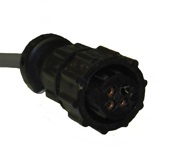 This cable connects the power, ground, and all other signals between the Model 4100/4110 Controller and Model 3000 Transducer. At one end an Amphenol connector mates to the Controller enclosure and at the other an Impulse connector mates with the connector mounted on the cap of the Transducer. 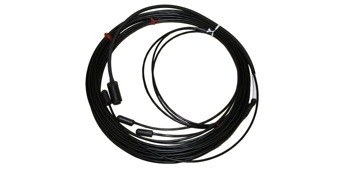 Standard length for this cable is 10 feet, as in the part number W-106A-10 above. We also provide these cables in 20, 40, and 66-ft lengths, as well as 5, 10 and 20 meters. Please substitute "5M," "10M," or "20M" at the end of the part number for metric lengths. Consult the factory for quotes on custom cable lengths. 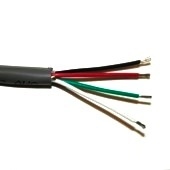 This cable connects the power, ground, and and RS-232 signals between the Model 5000 Sensor and the DCP. At one end the jacket has been stripped back to expose the individual conductors and at the other an Impulse connector mates with the connector mounted on the cap of the Transducer. 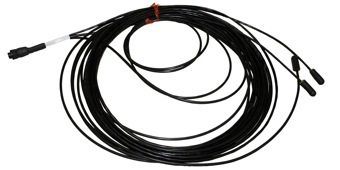 Standard length for this cable is 10 ft, as in the part number W-108-10 above. We also provide these cables in 20, 40, and 66 ft lengths, as well as 5, 10 and 20 meters. Please substitute "5M," "10M," or "20M" at the end of the part number for metric lengths. Consult the factory for quotes on custom cable lengths.